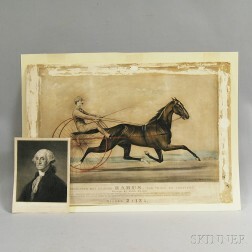 Save your search - find out immediately when "Gilbert Stuart" is available at auction! 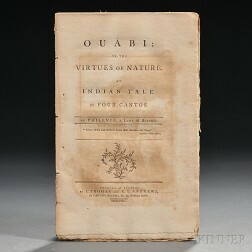 Philenia [aka: Sarah Wentworth Morton] (1759-1846) Ouabi: or the Virtues of Nature. An Indian Tale in Four Cantos. After Gilbert Stuart (Massachusetts/England, 1755-1828) Portrait of Prosperous Plantation Owner, John Campbell (c. 1756-1817). Washington, George (1732-1799) Engraved Portrait. After Gilbert Stuart (Late 19th/Early 20th Century) Portrait of George Washington. 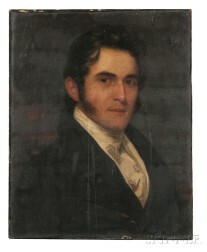 Possibly Robert Field, (American, born in England c. 1769-1819), Portrait Miniature of Thomas Jefferson c. 1800. After Gilbert Stuart (American, 1755-1828), Portrait of George Washington.